This entry was posted on 04.08.2012 by Ryan M Paxton. 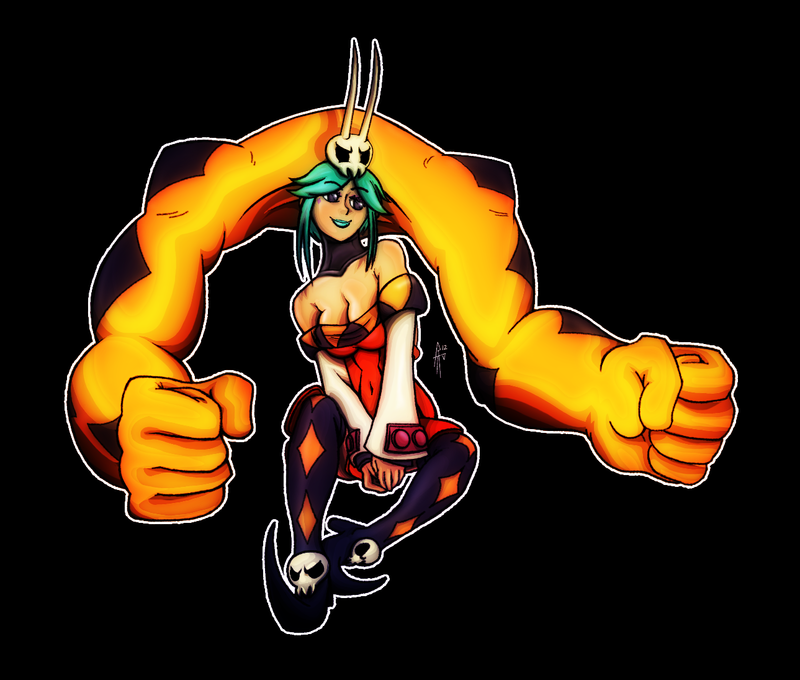 It was filed under Artwork and was tagged with 2D, 2d fighter, 2d sprite, anatomy, autumn games, cerebella, concept art, cristina vee, drawing, female, fighting game, figure drawing, finished piece, gaming, groundbreaking game, intuos, konami, oh8, personal piece, playstation network, reverge labs, sketchbook, sketches, skull girls, skullgirls. I see a little bit of influence from Nightmare before Christmas with this one. I don’t like fighting games that much but that’s really cool you get to be an artist for a game on PSN and XBLA! Is this like Tekken or Street Fighter in any way? Those are the only fighter games I like. Nah, like I said in my post, I didn’t make the cut, so I was rejected. I tried out for it two years ago and my work just wasn’t clean enough for them. Just go to http://www.skullgirls.com/ to see more about the game.